This product is whey protein concentrate from New Zealand, and is our most popular product. The two most popular forms of whey protein are concentrate (WPC) and isolate (WPI). WPC is our best seller, which is why it also comes in more flavours and sizes than WPI. There's 72 servings in the 5lbs tub with a cost per serve of less than $1! Rated 4.96/5 Based on 139 customer reviews. Great Taste, Value and delivery time. Ordered at 7:30 this morning and is on a courier to be delivered same day. Won't go anywhere else. Great product! I would highly recommend this protein powder to anyone. The gourmet vanilla flavour is great! and it is easily digested. Super duper cheap, and average shipping times to Australia. Great Product! Easy digesting and great tasting. Optimum Nutrition have their "gold standard" protein and seem to be main comparison people use to measure protein powders against. This is at least as good if not better in all regards, and significantly cheaper. Only point I'd watch is the flavour was pretty strong and might be too much on its own. Great for smoothies though! Your guys protein is honestly the best. Even my wife, who hates protein, likes this one and drinks it. It's got the best texture and no horrid after taste. Absolutely thrilled with my decision to try this protein powder after being recommended NZProtein by a colleague. Decided upon the white chocolate & raspberry flavour and it is delicious. Mixes really well and is the best tasting protein powder I’ve ever tried. Will definitely be trying more flavours in the future. Like many people, I’ve tried so many protein powders, and there either incredible sweet, don’t mix well or leave me feeling uncomfortably bloated. But not this protein! If unsure on what flavour you want you can order little samples to try but regardless every flavour is amazing. Chocolate is my go to, especially with my oats in the morning! If you find your going through your protein quite quickly just let them know how much you want and theyll do it! Oh and don’t get rid of your tubs because the bigger sizes come in a bag and you can just pour it into your tubs, easy as! And lastly let’s not forget to mention the amazing service and speedy delivery, Thanks Dave! Can we please take a moment to appreciate the white choc raspberry flavour?? OMG it is so goooood! I was so skeptical at first (I usually buy run of the mill flavours like vanilla or chocolate - on occasion branching out to FRENCH vanilla) because I've tried other flavours that just did not work well together i.e. rocky road choc from ON - yuck! The stats on this is great, tastes great, NZ made, what more could you want? Hesitant to try the choc mint in case it's not as good but fingers crossed!! I have tried a few of the whey protein powders. The most recent one I have tried is the banana flavor and its def the best one I have tried out of Double chocolate, cookies and cream flavors that I have tried. Just ordered a whole bunch of samples to try out this week to. I have never tasted such a smooth whey. Fabulous product. I am trying the Double Chocolate and my flatmate is trying the White chocolate & raspberry one, I would go for the latter the next time. Its amazingly creamy. Amazingly fast delivery and such a smooth creamy flavour. I ordered the 5lb tub of Gourmet Vanilla, order was placed about 9.30pm on Monday night and it was in my hot little hands by 1.30pm the next day. So happy with the delivery, the flavour and the price. Will definately be placing more orders and look forward to trying the other flavours! Ordered multiple times from NZProtein. Most recent order was on Sunday night 9pm, received my package the very next morning. Great service every time + great quality products too. Gourmet Vanilla and Double chocolate are the yummiest! Mixes so well, no lumps and no weird after taste! Tastes like an actual milkshake. Bible. Tried many of the flavours which are all great. Caramel being my favourite. The protein mixes extremely well very quickly without any lumps. Ordered on Wednesday and arrived Thursday morning! Super quick postage! Delicious protein powder, no yucky after tastes! Thanks so much! Looking forward to my next purchase! Tastiest Protein Ever (Gourmet Vanilla). Mixes very easily with water and really easy to digest. My first purchase from NZ Protein. Fastest delivery. Would recommend NZ Protein to everyone. I am very happy with their Quality. 1st purchase from nzprotein and I'm impressed. Just mixed 1 serving of the salted caramel with 250mL of cold water and it was great. Excellent taste and texture. Just ordered my first ever batch if whey from you guys. Gormet vanilla was the flavour chose and it is whey good!! So delicious and mixes well!! Cheers guys will be back!!! Killing it guys! Tried banana, jaffa, chocolate, vanilla, berry, salted caramel and cookies and they are all pretty good if not delicious!! If your thinking about buying, read further. We have tried a few brands of proteins, these I can say definitely compete with the big international brands. $ for $, massive savings here. Nutritional? I compared Banana with MP Combat Banana, this was better in almost every category, lower sodium, higher protein, far lower carbs - the only thing this didn't beat them on was fat content which this was a few grams more but not concerning. Salted Caramel - one of the more subtle flavours but my favourite. It tasted like a real treat! Cookies - we both enjoyed this. True to taste and creamy! Banana - 10/10 ! Loved their version of Banana. No after taste, not too strong, perfect combo. Berry - pretty good but not a favourite, though never have been of any berry proteins. Chocolate - Yum, no after taste, good flavour, not too strong. Vanilla - Primo! We aren't big fans of vanilla usually but this one is sweet and delicious! Would be great in baking I would think. Flavour is not too strong but definitely creamy and sweet! Jaffa - we tried this for kicks. Its yum for sure and if your a jaffa fan, it should hit the spot. Flavour is reasonably subtle but definitely no doubt that it is true to taste. They all smell fantastic before you even put them in the liquid! Love it. Fantastic quality, quick delivery, great communication - would 100% recommend! Used this protein whey several times now and it is by far the best on the market. Dissolves well, tastes great and helps my body recover quickly. My best is the mixed berry flavour, chuck it in the blender with some berries and milk and you have the best tasting shake out there! Fast delivery, decent price, Great taste and mixes well! I been having the banana but just tried the mixed berry taste great and mixes easy as. Excellent protein powder! I love Jaffa and banana but I also tried lime, cookies and cream and salted caramel and they are really good as well. Fast delivery and great service. Can't wait to buy more protein powder! Excellent protein powder, probably the best I've tried so far. Banana, chocolate, salted caramel, and vanilla all taste great, and are cheaper than Gold Standard, Musclepharm, and other popular powders. Protein yield is comparable with all the other top brands. Also, it seems to sit less heavy in the stomach than other powders, even with milk, which is a bonus. 5/5. Mixes well. Just tried the Lime flavour for the first time which tasted just like a milkshake! Would definitely recommend. I certainly will be coming back to purchase more products from NZ Protein. I've never been a fan of protein powders because they have been too sweet and gritty but I love this double chocolate powder. Thanks for the super fast delivery I ordered another 2.5kgs at 8am yesterday and it was delivered the next day. Love the Double Chocolate and the Gourment Vanilla for a simple powder. Been taking protien shakes for the past 20+ years. First time user of this product, it mixes well (don't have to use too much milk) and taste good (banana). Impressed. It's only been under a week since I have Bega taking it so won't see results immediately, muscle wise. I'm really impressed with this product. 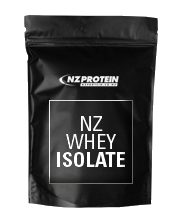 I've tried some of the top international whey brands and this NZ made product is just as good, if not better. Many of the top brands I find are too sweet, but not nzprotein. It's the right sweetness, flavors taste good and mixes really easily. They also deliver super fast, usually arriving the next day. Been using protein powder on & off for the past 30yrs. this would be up there with the best of them. I got the salted caramel , wow what a great taste. Highly recommend this product. Great taste , mixes well & of course nz made. Tastes great, not sweet, is delivered real fast, decent price - what else is there to say? I had used Optimum Nutrition and Giant Sports protein for years until I stumbled across this protein and all of the reviews and decided to give it a crack. I ordered the mixed berry and tried it. This protein is amazing, it tastes awesome, mixes well, and doesn't feel as heavy or processed as a lot of the competition. I am converted and highly recommend this product. I look forward to trying more flavours and chucking the mixed berry into smoothies and yoghurt. Cheers team! This is by far the best and tastyest protein I've ever consume! Not only it has an excellent taste (vanilla and mixed berries) but the miscibility is also perfect compare to other brands. I'm now obsessed with using my whey protein powder between my meals, after my gym sessions and I can really see a big difference since I started using it. So far I've used my vanilla and mixed berries protein twice a day in different smoothie and I love it! I love the fact that this protein is a 100% from New Zealand, it is cheap and you would not taste something better. I love it with milk, and with water it also tastes great. I would highly recommend you to try nz protein believe my experience you would not be disappointed! Have been using another brand that every time I drink hurts my tummy instantly so I thought I couldn't have whey anymore I decided to buy some sachets to try the nz protein whey after talking to one of the staff on messenger who was very helpful so far I've tried vanilla and chocolate it mixes very well just in a shaker even great taste not super sweet like my other brand and dosent taste artificial and leave a bad after taste like I'm use to I will be trying caramel today and decide what my fave flavour is and will be buying a big one so happy to have found such a fantastic nz brand that has it all. This is by far the best protein I've ever tried! And of course the most delicious!! I'm obsessed with using my whey protein powder, constantly adding it to my meals! So far I've used my salted caremel protein in my protein balls and the chocolate whey in my nut bars! AMAZING!!! Such good quality! Love mine with just water, mixes so well, never have any lumps! Would highly recommend nz protein! 2) It mixes well and does not leave any lumps. Best tasting protein powder I've tasted and mixes really well. After first buying it 4 years ago at my gym, ive not looked at changing to any other protein powder as it provides good protein level, and satiety when training, excellent for assisting muscle recovery post-workout and hypertrophy for muscle growth. The new flavours are great too. First time buying protien and this was the best! Had tried some other friends protien powders before and this was on the next level. I'm not talking about just taste. I'm talking about the high quality of the powder. It mixs very well compared to other s and it's super clean protien. Put the quality aside its amazing for baking. Smoothies, cakes, hummus! You name it. Awsome first but and definitely coming back. Recently bought your product for the first time, I got the salted caramel and have to say it's amazing. No weird after taste and mixes well. Def be buying again, look forward to trying the other flavours. Best, most tasty protein I've had, will only ever buy NZ Protein! Love the new flavours too! First Protein Powder I ever tried and have never gone back have recommended it to everyone and they are loving it as much as I am! Mixes well in smoothies juices or just water I love adding it into my baking and additions to meals! Keep it up NZ protein forget the best! Cleanest and best tasting protein on the market today. All the flavours mix well with milk as well which isn't always the case with other brands. Quality product and fast shipping. Fantastic product. Really yummy, clean without all the additives, great value and super fast delivery. I can't recommend this product enough, the protein content and the taste is on point. The best thing is the price! NZP's salted caramel WPC is the GOAT protein flavour. It even tastes amazing and has good thickness with just water. This is the best tasting and value for money protein I have come across. I'm pretty sure I've tried every flavour, there are no duds and no weird after taste. Mixes well with water and milk and the scoop size is pretty small so it lasts a while. Delivery is super fast, so when your running low you know you can get your next batch without hassle. Just started using this product, changed from a significantly more expensive overseas product, that was very good I might add. This protein is great value and tastes great. The shake is high in protein and doesn't' upset my stomach or make me breakout like other cheaper ones do. NZ Protein provide a good delivery service (next day in Wellington). I recommended this product to everyone who asks me what type of protein to buy. I love it! 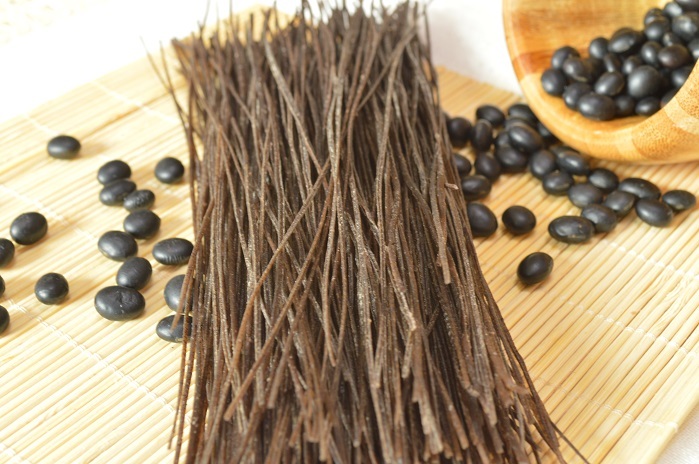 It has a clean profile and a high protein content, with great taste. I use to struggle to drink protein but ever since I started taking NZ protein, I have had no issues what so ever. Plus, it always arrives super fast. Thank you NZ protein! Tastes great and mixes well and great value for price! Great product @ a great price. Will be back for more. Thanks ! - C.
Just wanted to let you know it arrived today, and it is freaking amazing [Orange Choc Chip]. Didn't think it could get better than salted caramel, but this is a whole new level. Just tried the salted caramel and I think I came a little! By far the best protein powder flavour I have ever had, thanks Dave, keep these amazing flavours coming dude! Awesome high quality protein at affordable price. Tastes amazing and mixes superbly even without a shaker. Cookies n cream taste like the real deal. Goes on par with ON gold standard whey. Even better in my opinion. Overall great real value. Can't wait to try different flavors! All of the flavours I have tried (salted caramel, banana, cookies and cream, lime) but seriously the Salted Caramel flavour is freaking out of this world!!! I cannot stress this enough...it will change your life. Seriously. 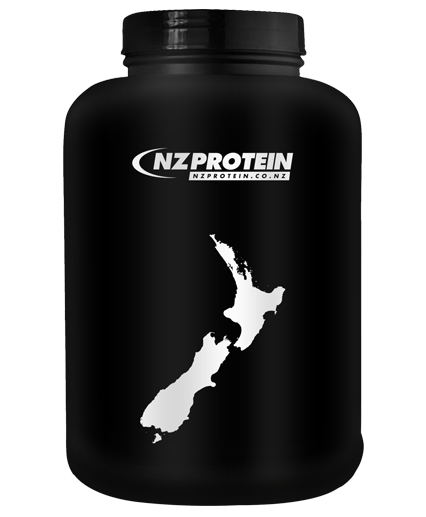 The product and service you get from nzprotein is second to none. The vanilla is perfect and mixes better than any protein powder I've experienced. All of my emails pertaining to my order were answered promptly and you do get the feeling that they care greatly for their customers. I will continue to order from this site. Keep up the good work! Great flavor, mixes easily and very competitive price. It's got massive amounts of protein per serve. What more can you ask for! Will continue to buy more when I run out! That is my new go to flavour bro. Salted caramel is on point. Whatever you did it taste amazing. Honestly the best protein I have had and the customer service from NZ protein is second to none! The flavours are all awesome, I don’t like super sweet things and the banana and berry are perfect (the cookies and cream flavour is also unreal blended with coffee and a little milk). You also know it doesn’t have the usual additives etc. as it doesn’t leave any gross smell in shakers like other protein. Love it! Excellent taste; easy to mix and not sickening sweet like other brands I've tried. Definitely one of the best whey protein powders I've tried and its made right here in NZ. Wish I knew about this product sooner rather than forking out 30% more on US brands that tasted gross. Bought first time 2 weeks ago and totally enjoying everything. Easy mix awesome tasting and light and easy to drink. Brilliant stuff certainly converted looking forward to trying other flavors. Fastest delivery ever!! Product is great and service is a 5 star for me. Thanks again. I ordered the 2kg Whey Protein for the first time which was recommended by a friend, talk about fast delivery!! Placed order Tuesday 1pm and received my package this morning. Amazing service and never had anything this quick delivered. Worth the money as well for such a big container. Hands down, this is the best protein powder on the market! I cannot recommend enough! Great taste, fantastic muscle building properties, and the best customer service! Quick replies and personal responses. 10/10 across the board! First of all,i have pretty much tried every protein in the NZ market. -mixes well and tastes great. Definitely have a customer for life. Had the mixed Berry and loved it, not to sweet but then i do have a sweet tooth. Both the company and its products (specifically Gourmet Vanilla, Double Chocolate and Dark Chocolate) are absolutely fantastic. I cannot recommend NZProtein enough! I placed my order at 3pm and received my order at 9am the following morning, talk about first class delivery service! The Whey Protein itself is the BEST on the market, it is the cheapest and has the smoothest texture and the taste is just sublime! I am still unsure as to why anyone buys protein from anywhere else because NZProtein's products literally sell themselves. If you want a perfect tasting Whey Protein, with quality service look no further. Delivery speed was insanely quick. Ordered at night and received at 12pm the next day. I love that the container is packed full, unlike some other brands which maybe get the inspiration from bags of chips? Anyway, mixes and tastes just great. Awesome! A very well priced quality product. Has helped in gaining strength, stamina and muscle weight. Product delivery time undoubtedly exceptional. Ordered 5lb whey protein on Monday morning, delivered on Tuesday lunchtime.Unbeleivable service. Excellent service ( Delivered the next day) great taste and not overpriced. Also, the tub is not like the other proteins where the tub is quarter air! Received my order in less than 24 hours. Mixed berry taste is awesome and when i opened the container it was full to the brim, not like other products when it's nearly half empty! Chur chur NZ Protein!! Great Whey & Casein! Dollar for Dollar you cant beat NZ Protein! The new double chocolate is very good, when I mix it with milk it reminds me of cadbury drinking chocolate. I'd give it a 10/10, well done! Excellence absolutely amazing fast service NZ Protein is the BEST. Exceptional service AAA+++ ordered my NZ Protein late last night and received product by 2.30pm this afternoon whoo best ever service fasted and most reliable I have come across love your protien. This review is for the new chocolate, berry and vanilla flavours. Flavour 5/5, it is fantastic! This tastes just like chocolate, not like artificial crap like most other brands. Flavour 5/5 it tastes just like real vanilla, and is not watery like most vanilla flavours. This tastes of REAL vanilla, like the vanilla part in a creme brûlée. Mix-ability 5/5 mixes perfect every time. Imagine you just got a handful of your favourite berries, put them in a blending and made them into a smooth liquid, this is exactly what this tastes like! If you want products that taste exactly what you expect the label should e.g. chocolate actually tastes like chocolate, vanilla actually tastes like vanilla and berry actually tastes like berries then buy NZ Protein, if you would rather buy crap then buy one of the other leader brands. I've tried s few of these flavours and their all great! Very clean and mix well! My recommendation would either be purchase lemon/lime or dark choc. You can purchase sample packs to see which is best for you. Wow. First time using NZ Protein. Ordered and it was on my doorstep in the South Island the very next day. Tastes great, mixes easy, and is a great price. Will definitely be ordering more!!! Love the Price, Flavours, Product ideas (everyone at work loves the portable refills) and cant overstate the service I have received enough! Fast delivery and friendly service! This is the best protein product I have tasted, am loving the dark choco flavour. Great to know there's no acesulfame k. Will be recommending it to my mates. Chocolate - Really good, mixes well, not too strong in flavour and no chemical aftertaste like you get with some big brand proteins. Strawberry - Strong flavour, very sweet, mixes well. Vanilla - didn't mix very well, still lumpy after a lot of shaking. On the whole a really good product, and you can taste the fact that it doesn't have a lot of artificial additives. Found this site in google when comparing a few. I have used a lot of brands of protein before and these guys are cost effective with great service; They emailed me back at midnight in the weekend and phoned me the next day to make sure my order arrived as quick as possible. To me that goes beyond the call of duty. The taste is good, it is clean protein from nz, what more can I say! Tried a sample and was blown away. My tastebuds are sensitive and I don't get the metallicy taste coming through like some others do. Will be using this brand for sure. Only judging by the one sample satchet given, this whey protein was already in high marks on the following accounts. In terms of taste it was the best tasting protein I've tasted. I rate it highly above Optimum Nutrition 100% Whey which i am currently consuming. Although its one less serving, the NZ Protein makes up in content compared to ON being .8 more grams in protein, .6 grams more in essential BCAA's. It feels as if it is what a whey protein should feel like as it goes down a lot easier, less thickness to it and less froth. 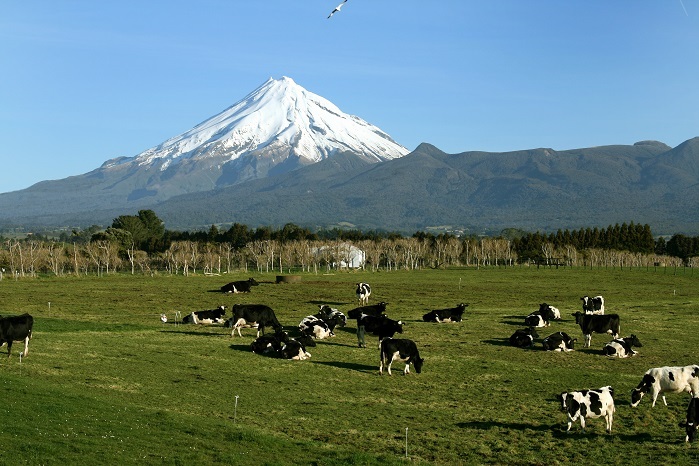 This comes from not only the good content but its the cleanliness in the NZ Dairy source. Beneficial because there are no hormones and antibiotics and is just an overall cleaner source of protein. Outdoing Optimum Nutrition by .8 grams of protein its still accounted for as .8 more gains. Content is excellent, easy to mix, and would definately be my next investment to further look into its overall effectiveness. Best tasting and smooth as. Great Tasting Protein! 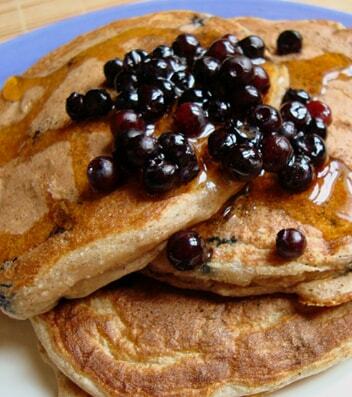 Mixes well and has very high content of protein per serving! Will definitely continue to buy this product! Awesome value protein - its refreshing to find a natural protein without isolates and actually has a short list of ingredients.Tastes good and mixes easy in water.